If there were a blueprint to improve athletic performance, you'd likely be all over it. For athletes, there's always room to grow. That said, sometimes we need a template to help us get to peak performance. Below we outline the areas of improvement that will help you reach your athletic potential. Your next step is to get a fitness assessment. Whether you are on top of your game and looking to push the limits, or just building your athletic foundation, a fitness test will help you set goals and track your progress along the way. A fitness assessment is a series of measurements that will help you determine your health status and physical fitness. There is an endless number of possible tests and measurements that trainers and coaches may use to determine an individual's baseline fitness level and help design an appropriate exercise program. 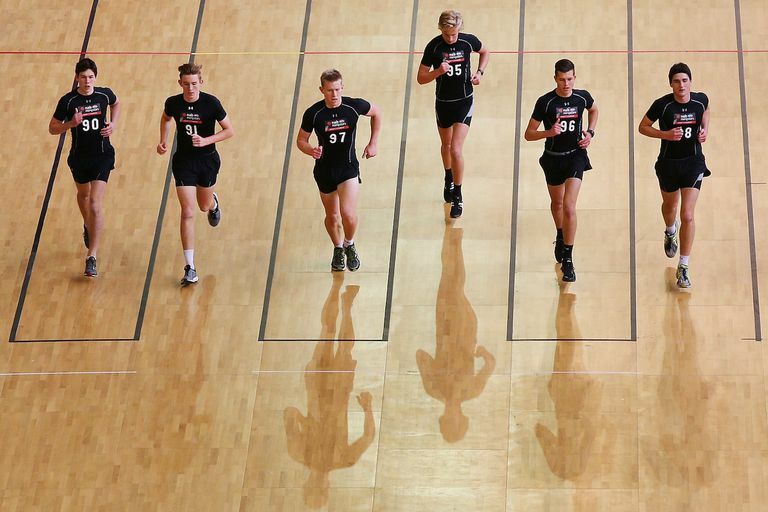 Read about some of the most common fitness tests. Practicing sports safety can help you stay injury-free which is one of those fundamental musts to reaching your peak performance — staying healthy. Warming up adequately, training effectively, using proper equipment for your sport, all while recognizing and addressing the early warning signs of injury can reduce your risk of common sports injuries, aches, and pains. In addition to injury prevention, monitoring the environment in which you train and compete, such as in extreme outdoor weather conditions including extreme cold, heat, or altitude is an important aspect of staying safe. These conditions require special preparation and knowledge in order to perform at an optimal level while staying comfortable and safe. Many sports require you be on your feet for the duration of performance and/or athletic training. That said, your feet are the foundation of the movements you make with the rest of your body. Your posture, stance, and technique can be hit or miss if your feet are not properly cared for. In addition to proper grooming including washing, moisturizing and soaking your feet regularly, you should also check with your doctor or a podiatrist if you have lingering pain in your feet. While muscles do get sore after over-exertion, you should not experience regular or consistent pain in your feet. If you do, something may be wrong. In addition to taking care of your feet, finding the best shoes and socks for your activity can help keep you both comfortable and injury-free. Few people will think about sleep when they consider what it will take to get them to the next level athletically, but sleep is an integral part of reaching your athletic potential. The body needs rest and for those whose minds are on getting to the top, overtraining may be a close danger. Even if you are training progressively and not overtraining, you could be suffering from sleep deprivation. The stress lowered metabolism, and mental fatigue of sleep deprivation could upend your attempts to reach your peak performance, so after you take these 5 steps, finish up your training days with a good night's rest. You will be a better athlete for it.